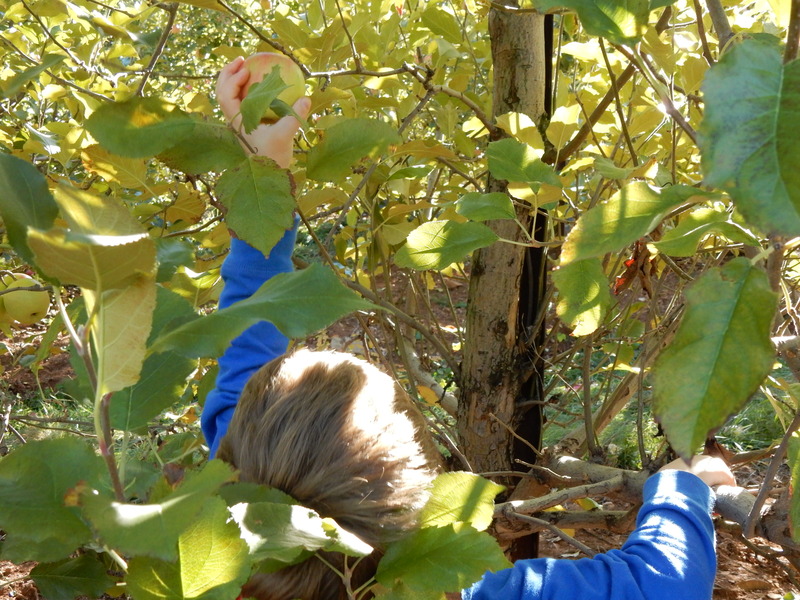 This weekend we drove to Charlottesville to pick apples at Carter Mountain Orchard. This is a yearly tradition for our family. 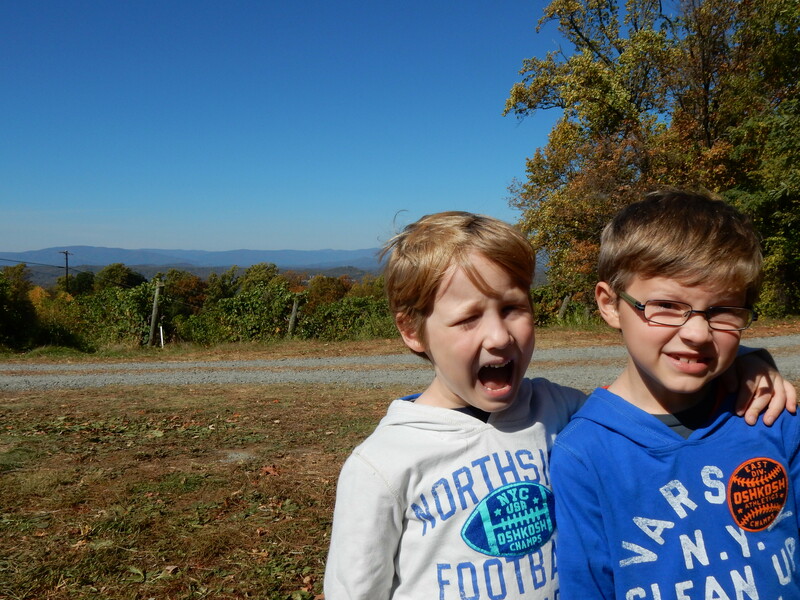 We go to pick too many apples, eat our weight in apple doughnuts, and enjoy gorgeous views of Charlottesville. 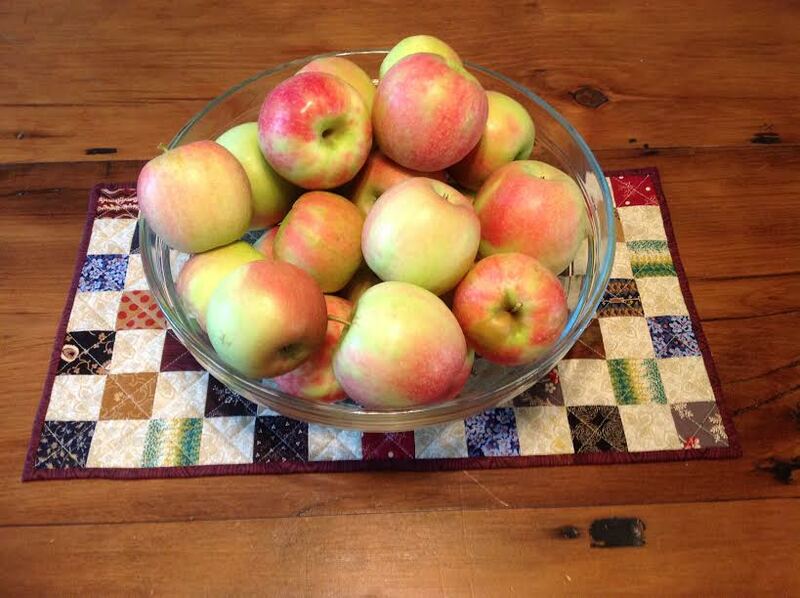 This year we waited for Pink Lady Apples to be ready because they are our absolute favorite. 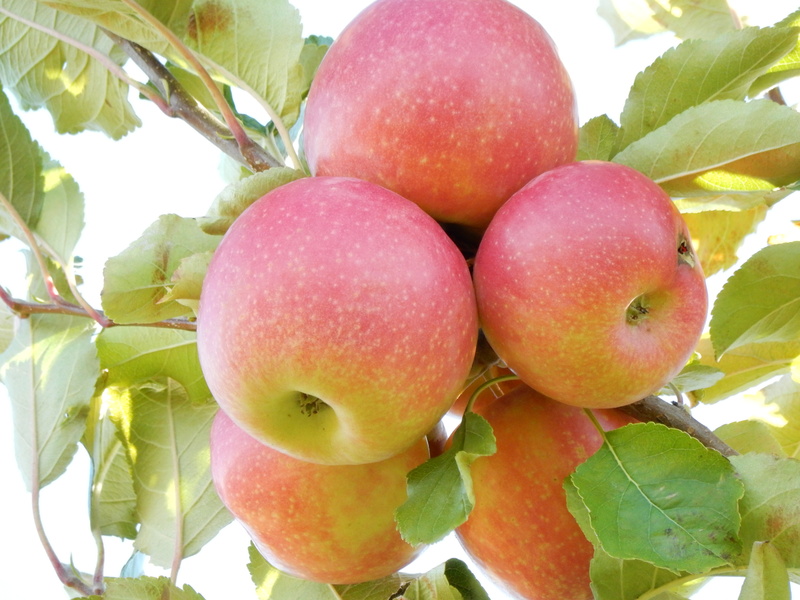 Somehow Pink Lady’s manage sweet and tart along with crisp and juicy in one perfect apple. 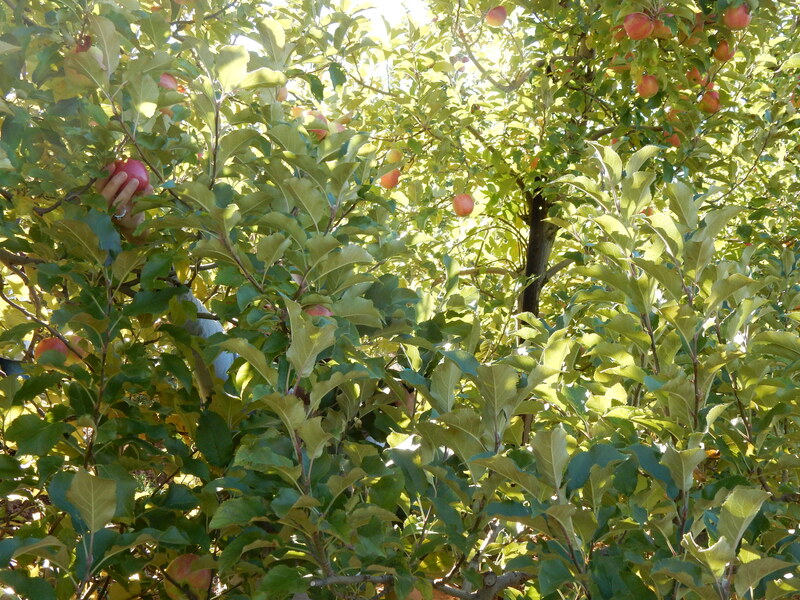 This year it seems as if our apple picking destination has been found out by the masses. There was a long line of cars climbing the mountain. The kind lady paying for doughnuts and pecan soft serve ahead of me was from Washington D.C., which is quite a drive. 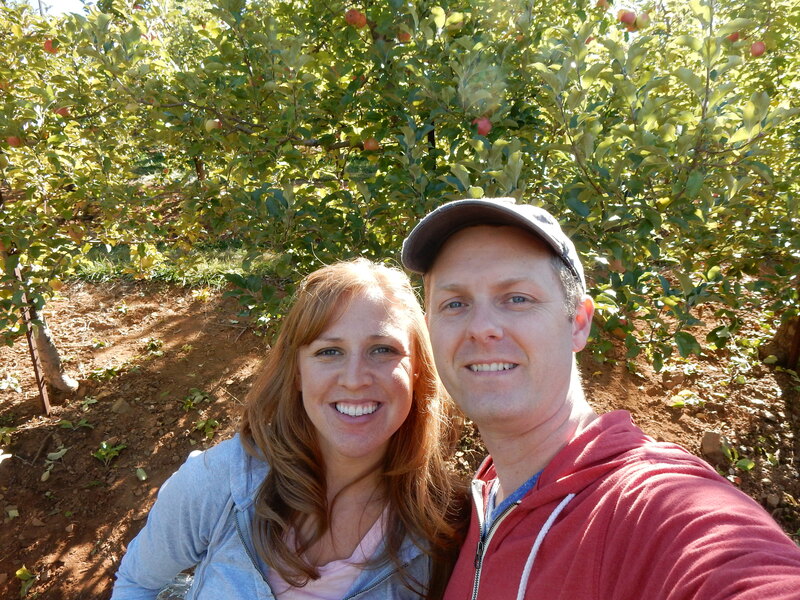 Despite the multitude of people, apple picking at Carter Mountain will always top my list of favorite fall destinations. Heaven knows we picked enough apples. It is absolutely addicting. Before you know it, you are walking back to your car with $30 worth of apples and a smile on your face. As a devout “Foodie” married to a devout “Foodie” who has an affinity for pork, there was no question about whether or not this book would be loved. I adore it! 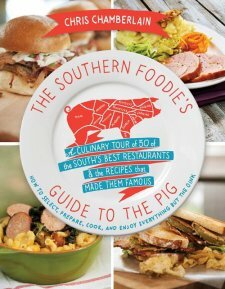 The Southern Foodie’s Guide To The Pig is more than a listing of delicious places to eat in the South, it is a manual to creating, eating, and finding pig perfection! My husband and I spent more than an hour flipping through the pages and bookmarking all of the places we would eat and all of the recipes we would attempt. We live in Northern Virginia, and there are several listings for restaurants near our home. One of my favorite features of this book are the recipes provided from the restaurants that author Chris Chamberlain would rank as some of the best in the South. I am anxious to try so many of the sauces, rubs, side dishes, and desserts for myself. 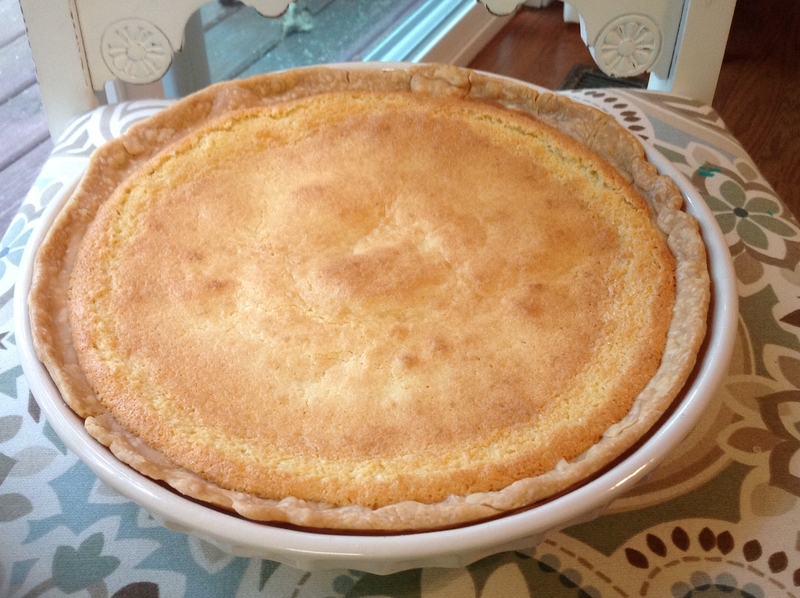 For this post, I made Buttermilk Pie from Something Different in Urbanna, Virginia. This recipe is simple and well worth the effort. Preheat the oven to 350. 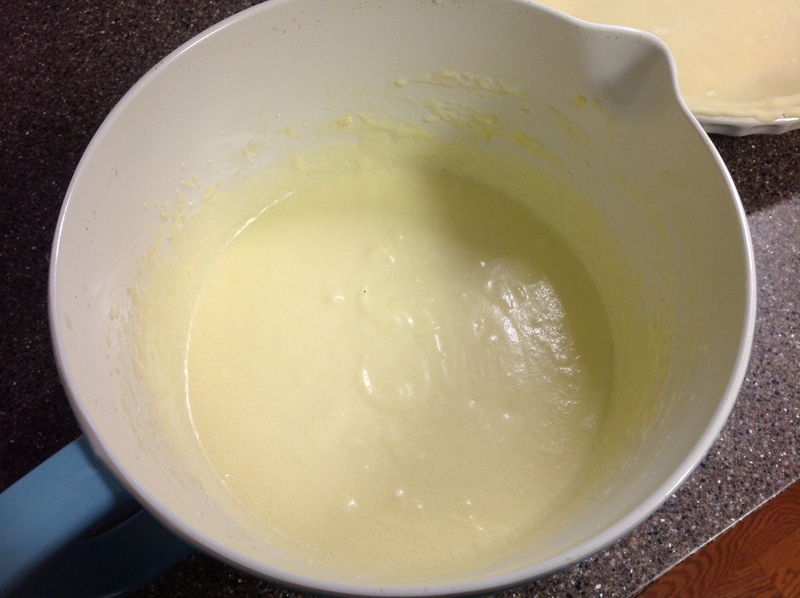 Cream together softened butter and sugar. Add the buttermilk, sour cream, and flour and mix well. and pour in the filling. Bake for 45-50 minutes or until firm and caramelized on top. It should be slightly crusty and brown. And here is my picture of my cut piece…. It didn’t make it to the photo shoot and I don’t trust myself to cut another piece! It is pretty amazing!! I highly recommend this book to all lovers of Southern Fare! This is a fun read that I am sure you will reference often. I was given a complimentary copy of this book by its publisher and BookLookBloggers and the author in exchange for an honest review. All opinions are my own and I have not been compensated. 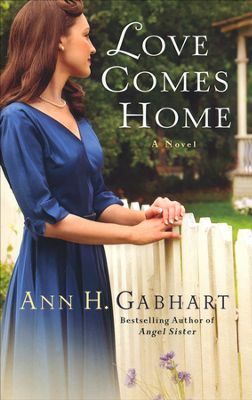 Love Comes Home by Ann H. Gabhart is book three in the Rosey Corner Series. Not only did I truly enjoy this post WWII romance, but I was also delighted by the Brown Sugar Pie Recipe Ann included. The only thing better than a good book, is a reading a good book with a piece of pie! Let’s start with the book! While Love Comes Home is third in a series, it definitely stands alone. After reading it, I am anxious to read the books which proceeded it, but they are not necessary to enjoy this book. Ann H. Gabhart did an amazing job capturing the excitement and struggles of soldiers returning home. Gabhart depicted the time period perfectly and made me want to travel to Rosey Corner myself. In this story, WWII has ended and the Merritt sisters of Rosey Corner are welcoming their sweethearts home at last. My favorite of the sisters, Kate, is reunited with Jay who she had just married when the war began. They work at falling in love all over again and picking up where they left off. I also felt drawn to Victoria who lost her love to the war. 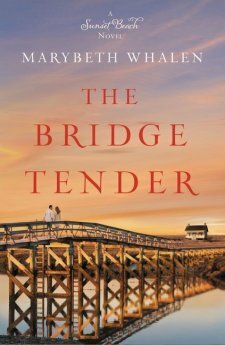 Tori struggles to overcome her grief and to give a new life a chance. This is exactly the kind of historical fiction I love so much. Love Comes Home is heart-warming and delightful to read. Ann H. Gabhart tells a wonderful story with faith included in a natural way. I would recommend this book to anyone who enjoys romantic historical fiction. I cannot wait to read other books by Ann. I was given a complimentary copy of this book by the publisher in exchange for an honest review. 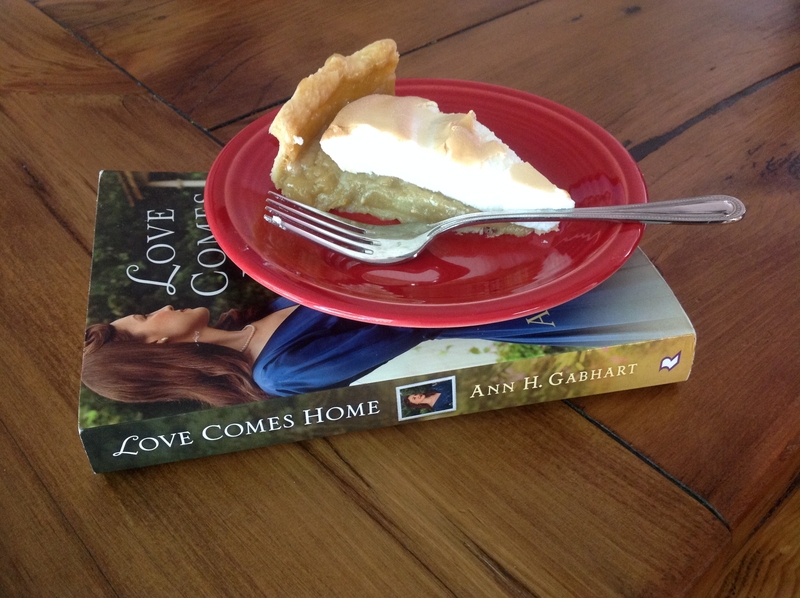 At the end of the book, Ann includes the recipe for the Brown Sugar Pie that her character Jay loved so much. 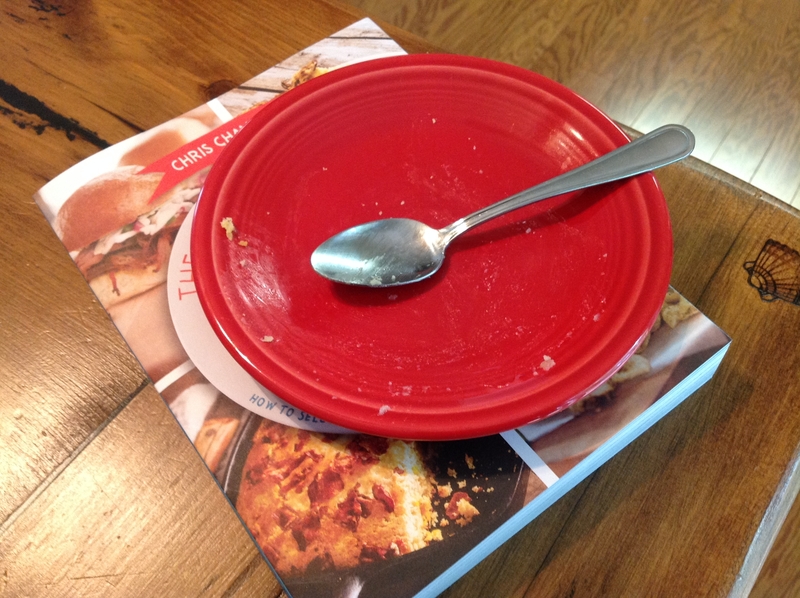 When authors do this, I like to include the recipe with my review. 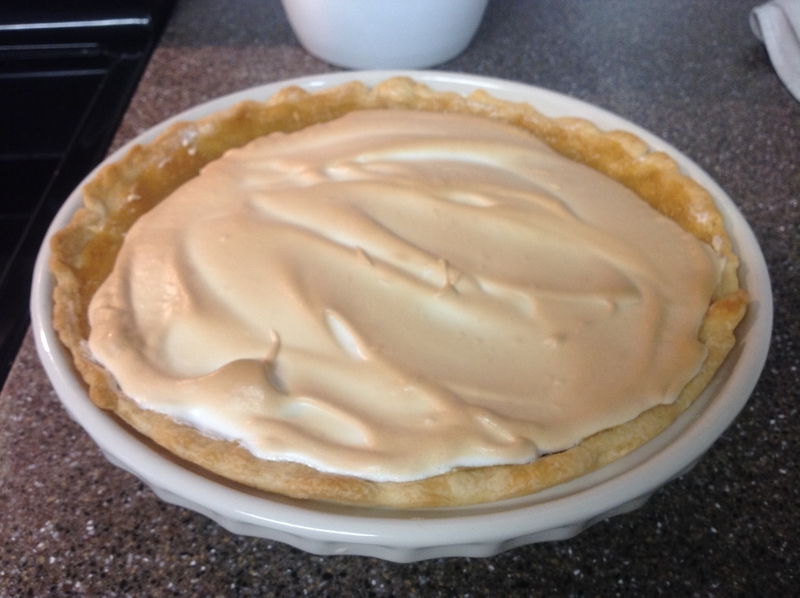 I bake regularly and am no stranger to the kitchen, but my weakness is pie. 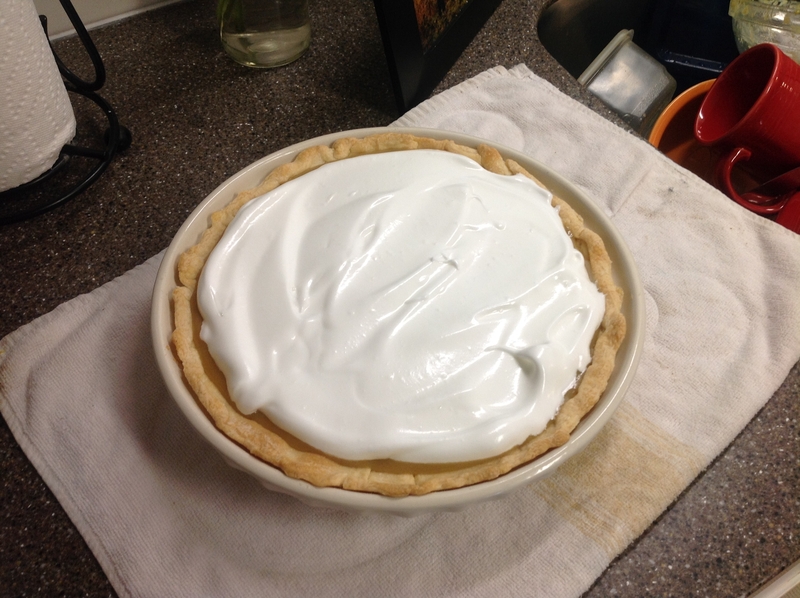 I am terrible at making pie. This one turned out well and was pretty easy to make. 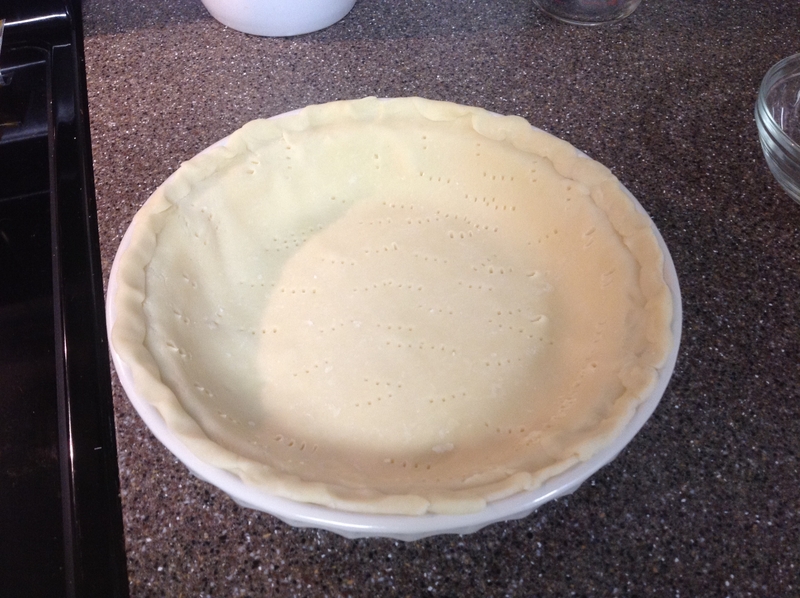 First, bake your pie crust. 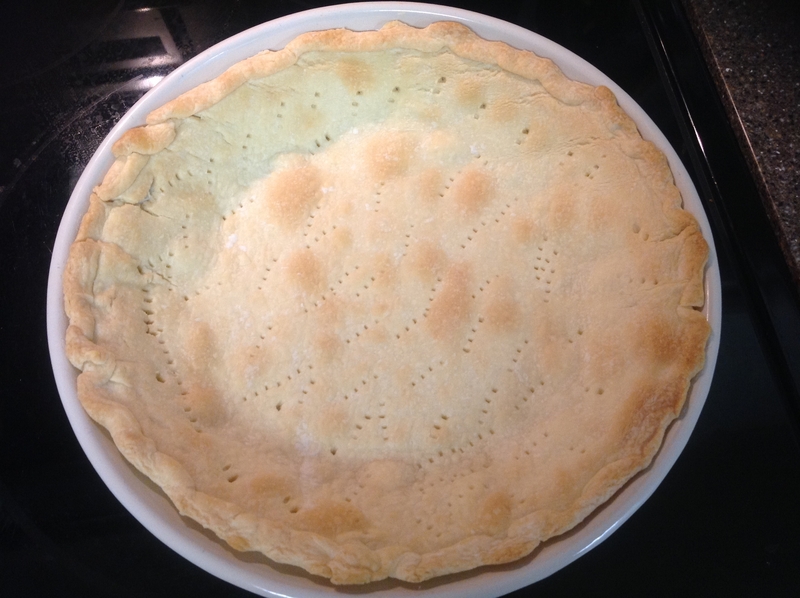 I bought a refrigerated pie crust and it worked perfectly. Press it in the pie pan and then stab it with a fork many times. Follow the directions for baking on the box. It will look like this. Next, go ahead and separate your eggs. Then, beat the yolks. By the time you are ready for the whites they should be at room temperature. Next, melt the butter in a saucepan. Once melted, remove from heat. Add flour and stir until smooth. 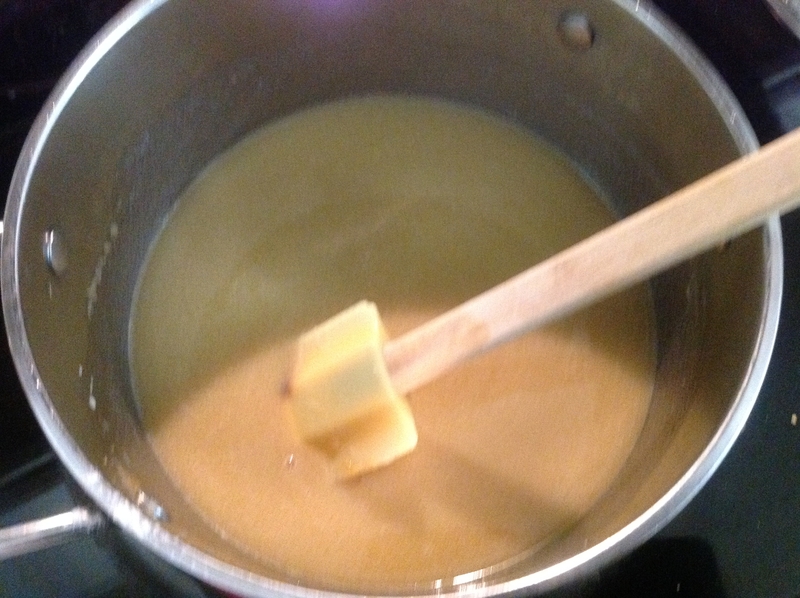 Return to heat and stir in milk and salt until well blended. Cook and stir over medium high heat in the saucepan until thick and bubbly. Reduce heat, cook and stir 2 minutes longer. Remove from heat. Now you are going to add 2 tablespoons of the hot pie filling to the yolks and then add the mixture into the pie filling in the saucepan. Be careful to add it in slowly or you will scramble your eggs! Once it is added, stir constantly. Bring the filling to a gentle boil, cook and stir for 2 minutes longer. Remove from heat and gently stir in the vanilla. 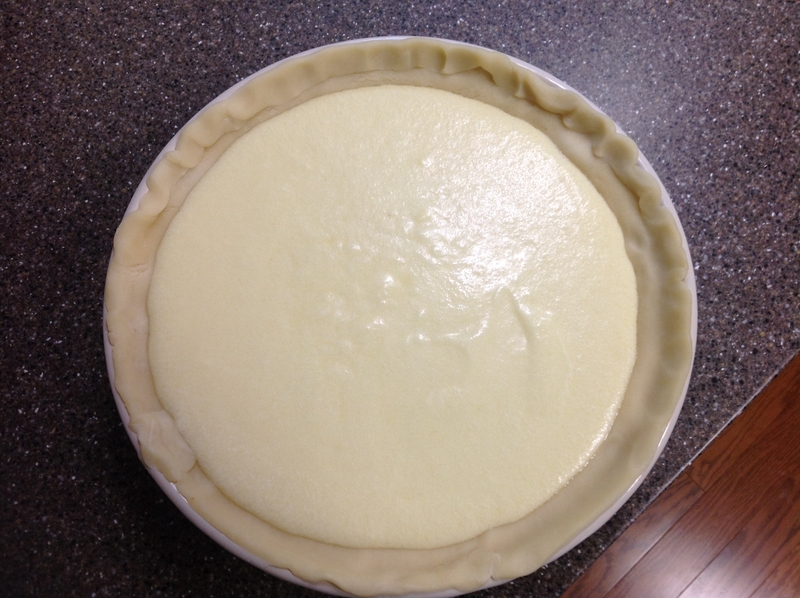 Pour the mixture into the pastry shell. I needed to spread it a little closer to the crust! Pardon the dishes in the sink. Bake at 350 degrees for 10-12 minutes or until golden brown. This pie really is scrumptious. So much so, I had to dump the last third of it to keep myself from polishing it off!! 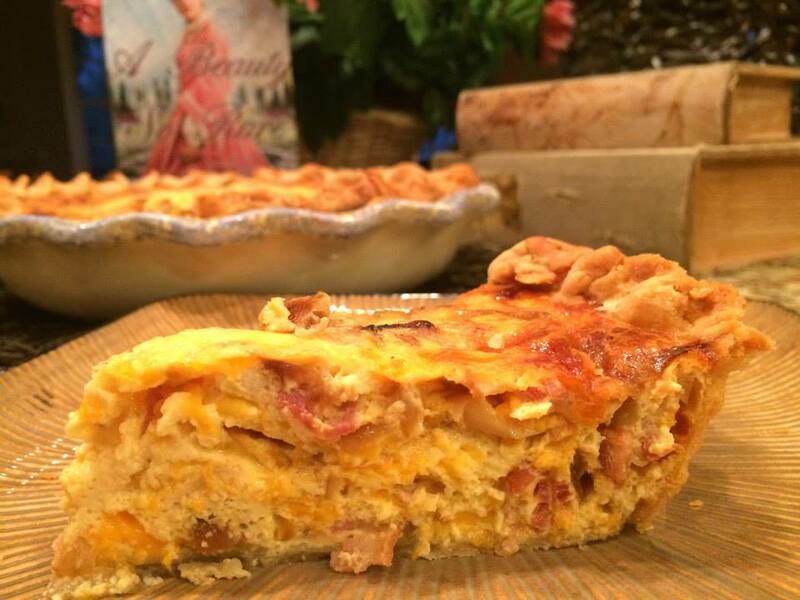 This pie is a must try. I will make it again to see if I have finally mastered my arch nemeses in the kitchen. Enjoy! 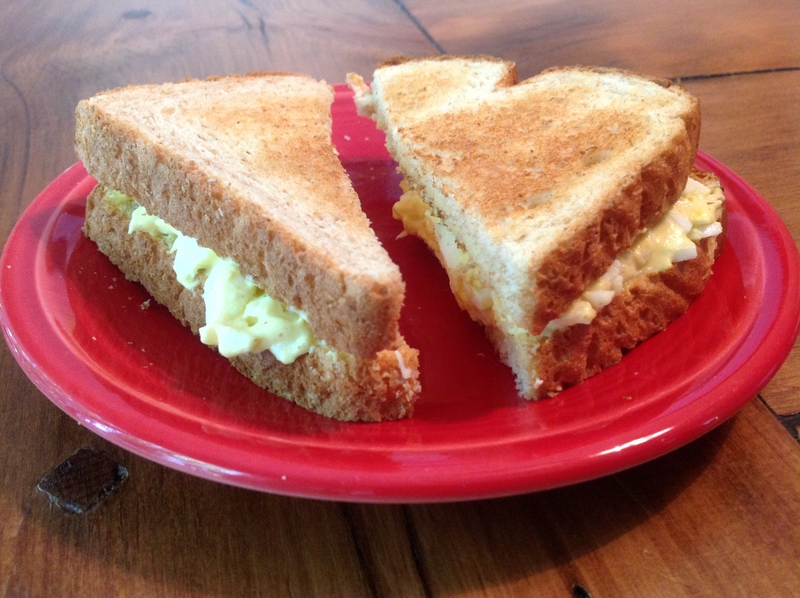 One of my favorite summer time pleasures is a simple egg salad sandwich. I like to keep it basic with a short list of ingredients, all of which are always in the refrigerator. If you like yours crunchy and complicated, this recipe is a great base. Boil your eggs. I usually place my eggs in the water and then turn the stove top on high. Once the water begins to boil, turn the stove top off and leave the pot on the hot eye. Set a timer for eight minutes. This method will keep you from over cooking your eggs. Peel warm eggs and chop up. There is no need for a fine chop here. 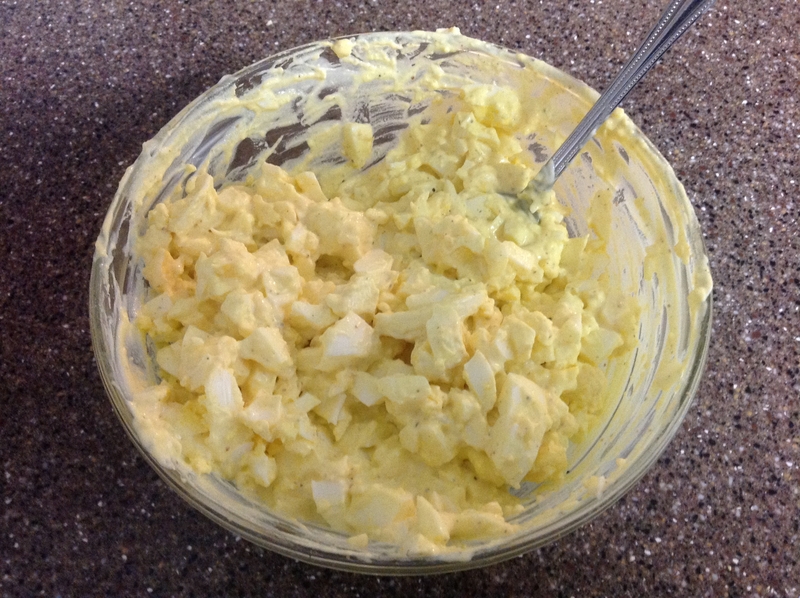 Warm yolks make the best egg salad because they become creamy when you mix with the Mayo. So, peel them as soon as you can stand to hold them. 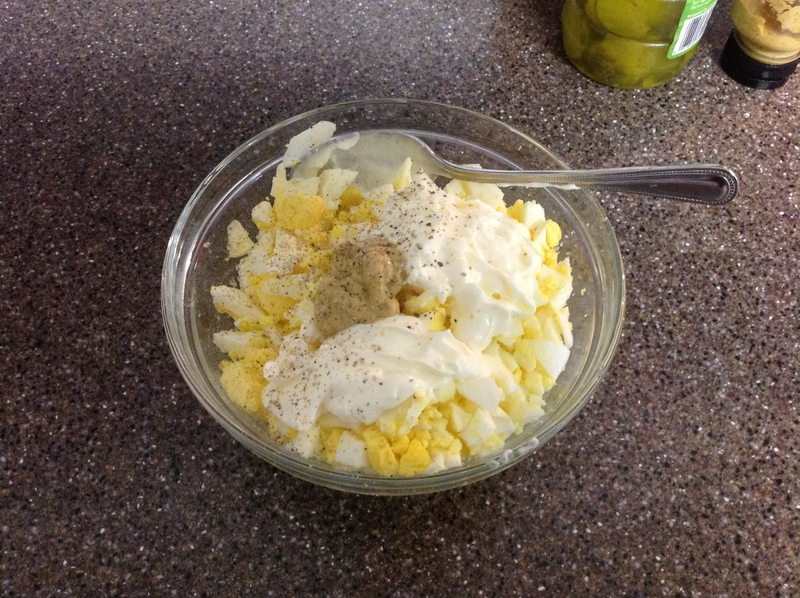 Add about 1/3 cup of mayo, 2 squirts of brown mustard, a dash or two of dill pickle juice, salt, and pepper. Stir everything together gently. Add more mayo if you feel like it isn’t creamy enough, but know that it will loosen up in the fridge. Taste to test out your salt and pepper. I have to admit, I enjoy a warm egg salad sandwich. This is the part where I slather some on warm toast. Most people enjoy theirs cold, but either way, enjoy! I love this recipe I found in my Summer issue of Food and Family by Kraft. It is so easy and delicious! Not to mention, it is light and filling. I especially love the way it looks in a Ball jar. My husband just grabs one from the fridge for his lunch. 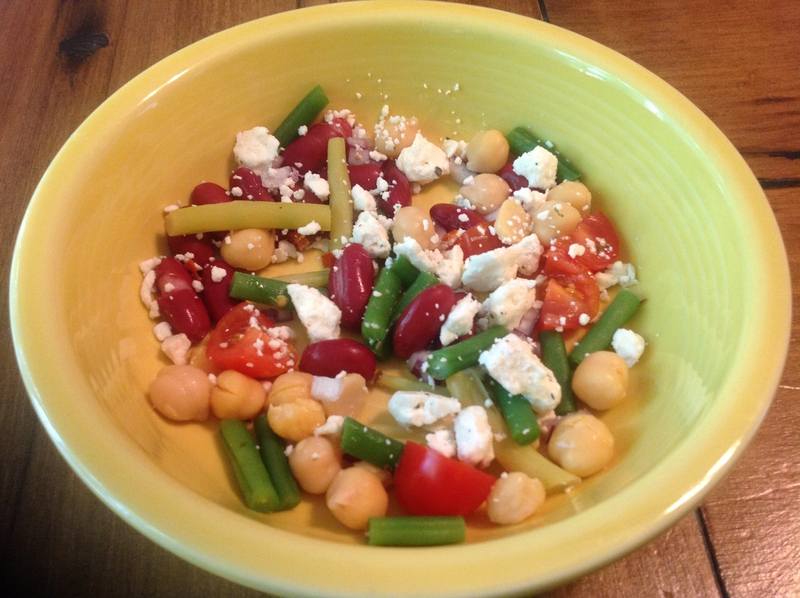 I think that is what makes this bean salad so fabulous! You could even make it in a pretty glass bowl instead of individual servings. Cook yellow and green beans in separate pans of boiling water 5 to 6 minutes or until crisp-tender, drain. Rinse with cold water, then pat dry. 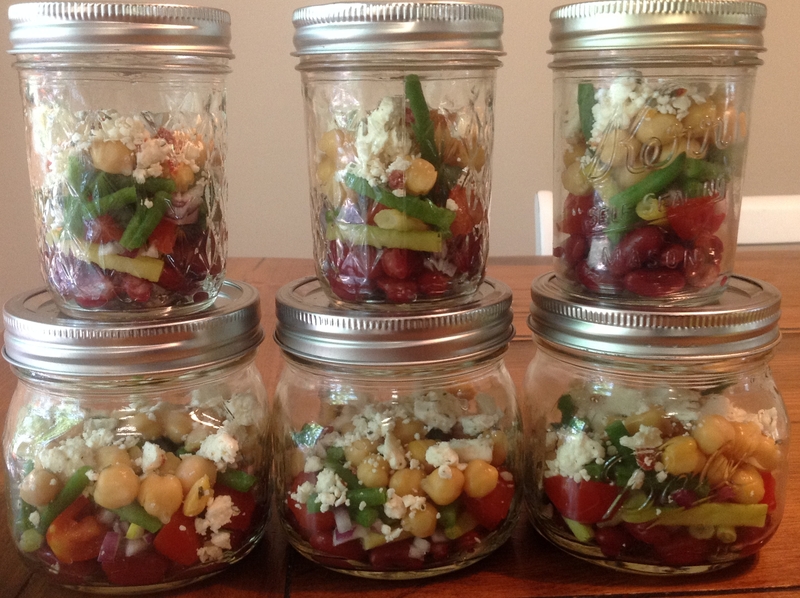 Layer kidney beans, yellow beans, tomatoes, onions, green beans, chickpeas, and cheese in 16 clean 8 oz canning jars. Or vary jar size according to portions desired. I used some bigger jars for a larger portion. I add about a teaspoon of dressing per 8 oz jar just before I eat it. This would be great on a picnic or a side dish to a grilled dinner! Enjoy! This is an amazingly simply and delicious chocolate cake. I had almost all of the ingredients in my cabinet. The best part, you can make it in the pan you will bake it in. Unbelievably, it calls for no eggs or butter! 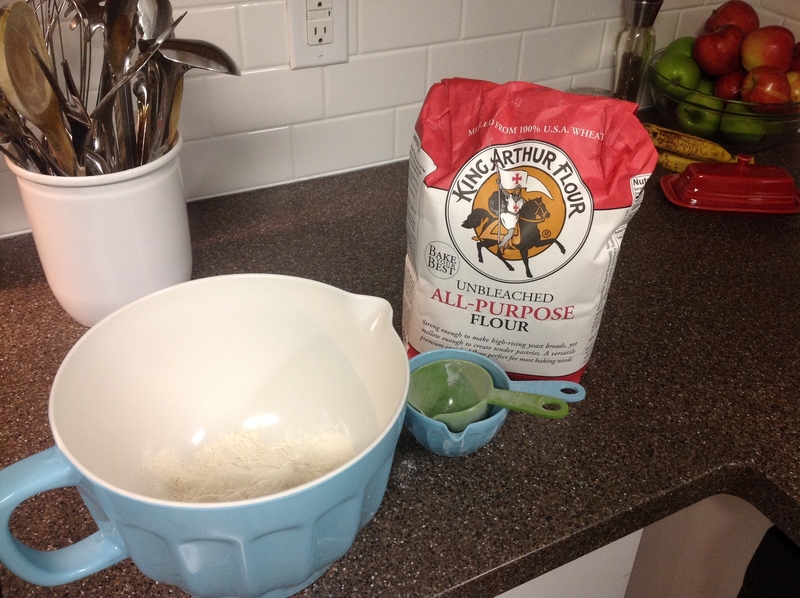 I got this recipe from King Arthur Flour’s website, kingarthurflour.com. Measure all dry ingredients into an 8′ or 9″ baking pan. Be sure the pan is at least 2 inches deep. Blend the dry ingredients together thoroughly with a fork or whisk. Scoop out three holes or indentations. Pour vanilla into one hole, vinegar into the second, and oil into third. Take the cup of cold liquid and pour directly over everything in the pan. Stir everything together until well blended. Bake for 30-35 minutes. Serve right from the pan warm from the oven. OR, ice the cake with this simple frosting. 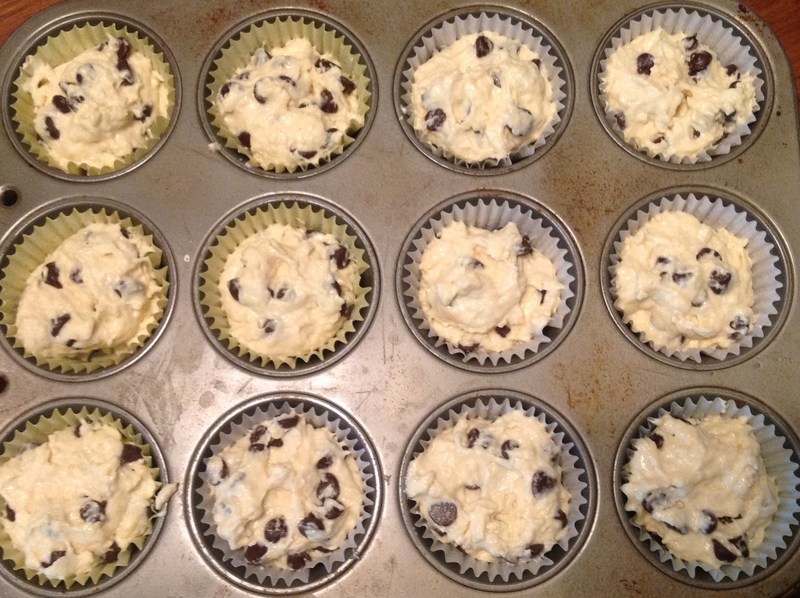 Melt 1 1/2 cups chocolate chips with 1/2 cup of half and half until the chips melt. 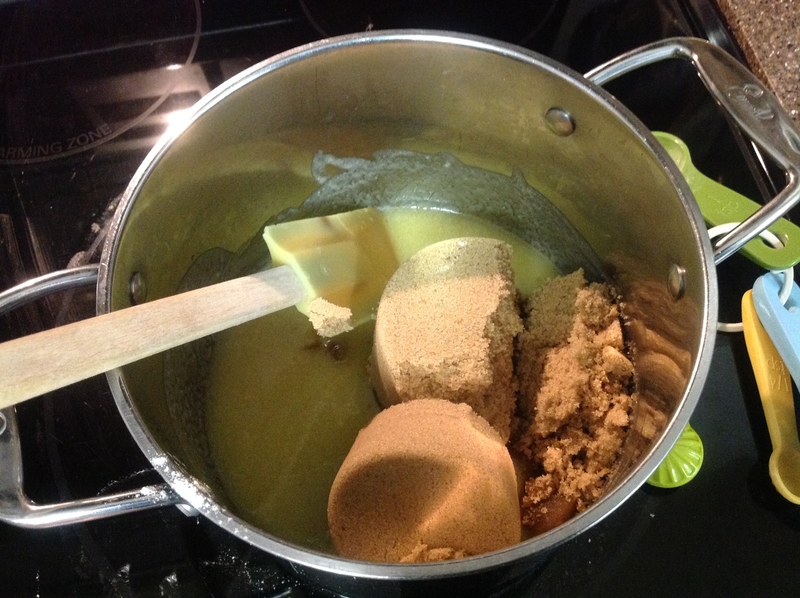 Stir until smooth and then pour and spread over cake. I melted mine in sauce pan on the stove top. Would you believe my husband hacked into this cake while I was letting it cool? I never got a picture of the entire finished product. It was so good and so easy I wanted to share anyway. 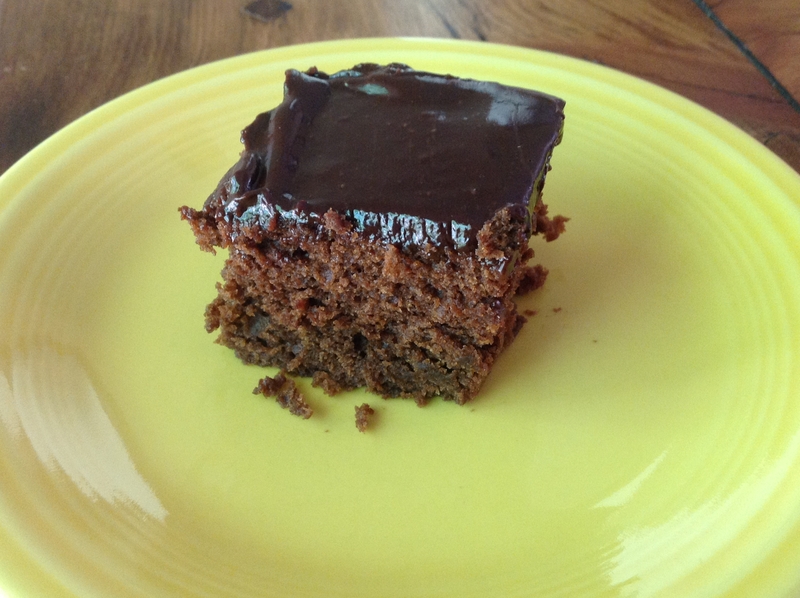 This cake is very dense and so different from anything I have ever made. It would be great for a quick dessert that is amazing with ice cream. Enjoy! 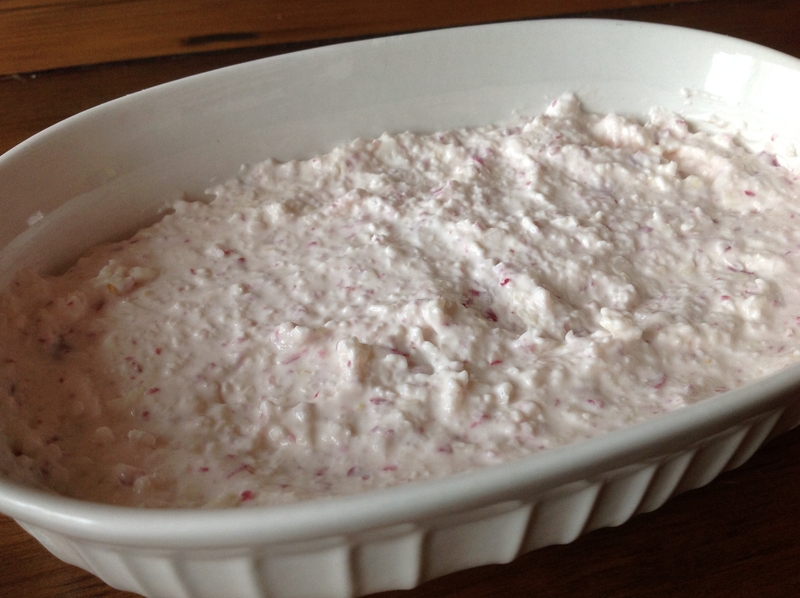 Oh So Good Radish Dip! Seriously, this is my favorite way to eat radishes! Three ingredients and a food processor is all you are going to need. Keep in mind this recipe is easily doubled. I make a half batch because I have no self-control. Clean, cap and quarter radishes and add to food processor. Add two peeled cloves of garlic. 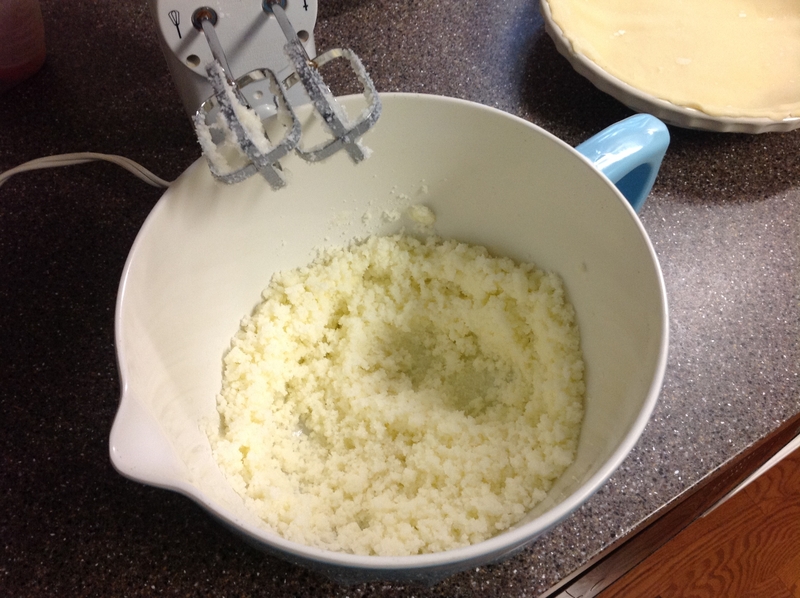 Cut cream cheese into cubes and throw into the food processor. Pulse, scrape sides, and pulse again. Serve with your favorite cracker or as veggie dip. Yum! I am from East Tennessee and it is there I was introduced to the deviled egg. The truth about them is that you either love them or hate them. Maybe you are like me, and it just depends on who made them. Like most things dealing with food, I like to go back to the basics. There is no need to pack the deviled egg with weirdness which clearly does not belong there. So here it is, my simplified version of the Deviled Egg. 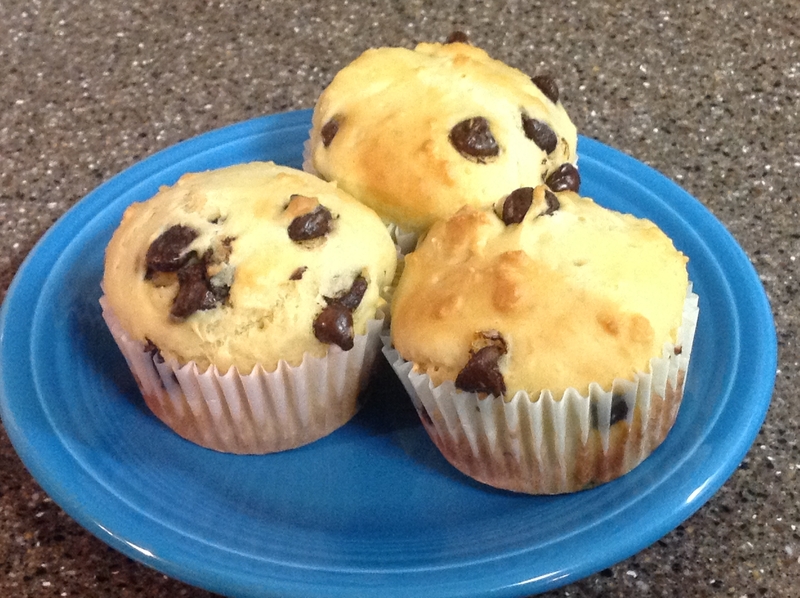 Beware, these are hard to make with precise measurements! 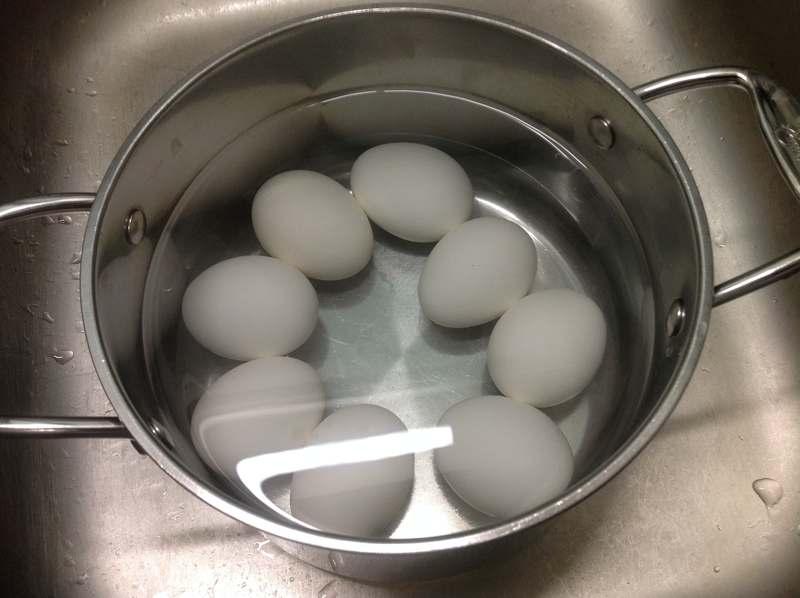 Begin by peeling the boiled eggs. Half each egg when they have cooled. 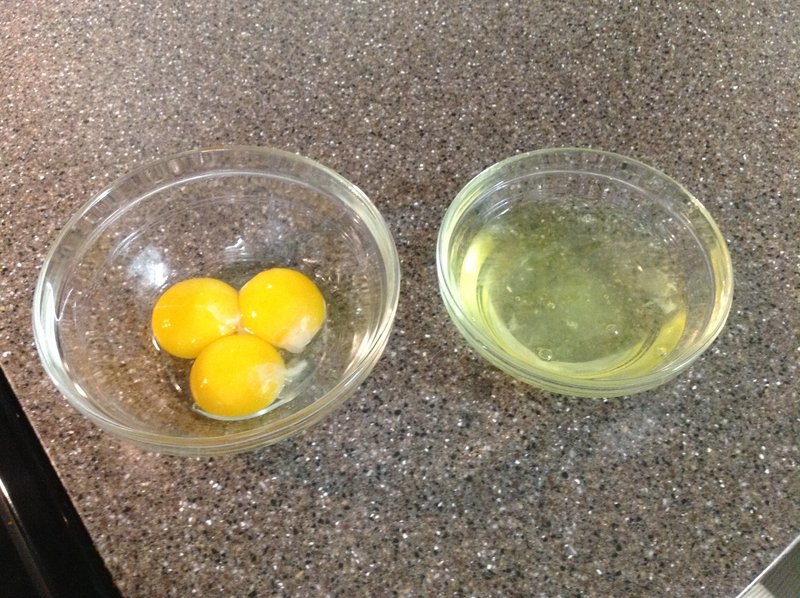 Pop out, or scoop out the yolks into a mixing bowl. With a fork, mash-up the yolks. 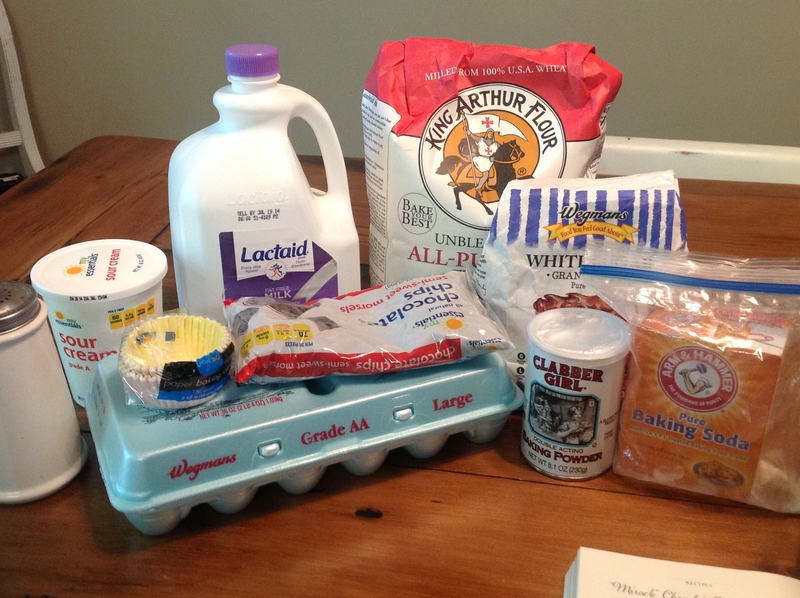 Starting here, much of the amount of ingredient you use will be according to taste. Add one heaping spoonful of real mayo. (roughly 1/4 cup) Next put a generous squirt or two of regular mustard and two tablespoons of dill pickle juice. Next add 1 tsp of mustard powder, and a dash or two of salt. Now beat ingredients together. 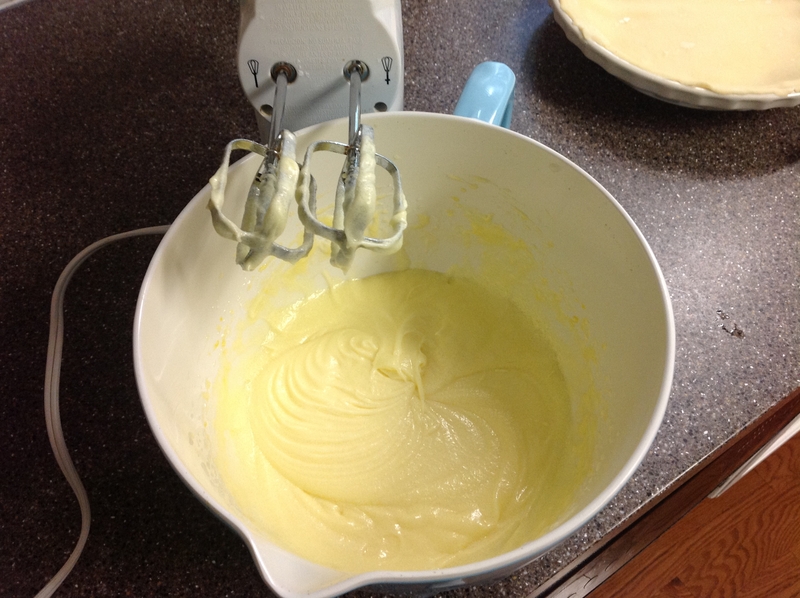 I often use a stick blender to make the filling whipped. Taste the filling and adjust accordingly. If it is not creamy enough, add a little more mayo. To fill the eggs, scoop filling into a quart size ziploc-type bag. 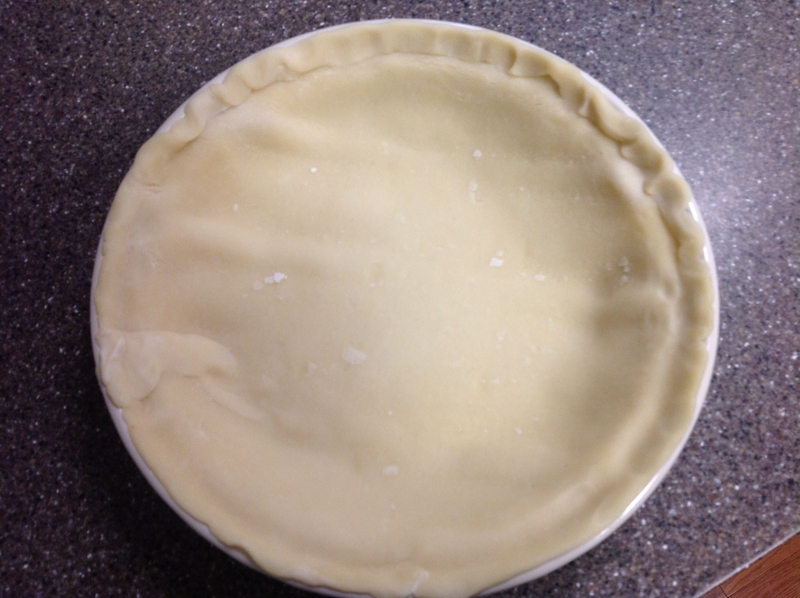 Use like a piping bag by clipping the bottom corner. Pipe filling into egg halves. Lastly, sprinkle eggs with paprika. 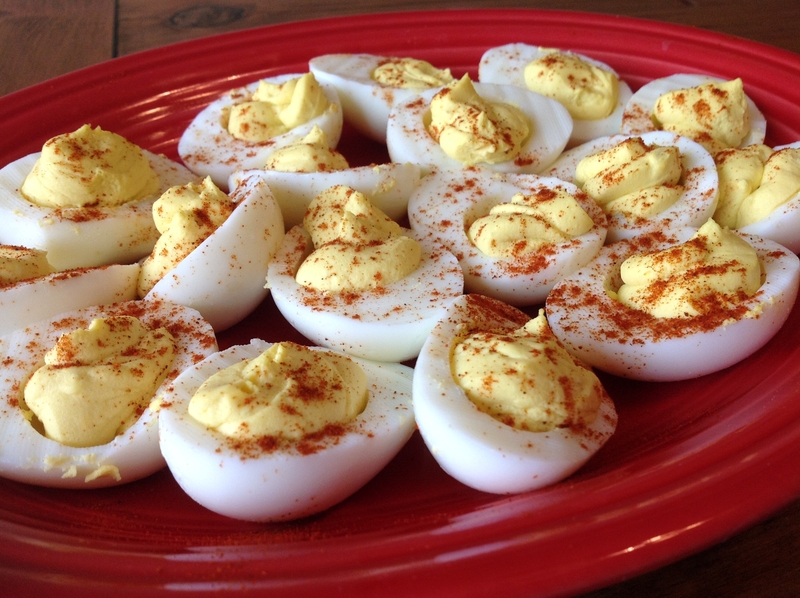 I like to eat my deviled eggs immediately, however my husband enjoys them cold from the refrigerator. Either way, they are essential to the Easter Dinner. Enjoy!